Devine Financial Management Ltd. is a very different kind of adviser company. We are unencumbered by old-fashioned ways, obsolete systems and excessive bureaucracy: instead we understand the needs of today’s businesses of all sizes, and are ideally placed to meet those needs effectively. We provide a complete corporate financial planning service (see below) which you can use in part or in full depending on your needs. This service is tailored to your company’s requirements, because we believe that every enterprise has its own individual needs, circumstances and goals. We can work with you to explore which services are right for your company, and then recommend the package most appropriate to your needs, your goals and you budget. When it comes to your employee benefits, from protection to pension plans, our approach is to seek ways to reduce your administration burden and cut your costs. At the same time, we are often able to improve the benefits you offer to your staff. We can also advise your employees and directors / senior executives on exactly what the benefits package means for them. All this helps you attract and retain the best people. We are able to achieve these benefits for your company because we are pro-active. When administering your pension scheme, we will visit your premises and offer to meet all employees individually, face to face, and offer full advice on the company benefits available to them. We will maintain an employee benefits database which is used to keep track of all of their entitlements and premiums and ensures both management and employees are kept up to speed on all issues, from monthly accounting for premiums to changes in legislation. We also offer to hold employee seminars as and when deemed suitable, to keep them informed. In doing the above we are in close liaison with your HR and/or Finance management. We search the entire marketplace to find the best product or service for you. And we are aided in doing so by state-of-the-art research and financial planning technology. Many companies are simply too busy to review their employee benefits regularly. Yet new products and services are being introduced all the time. A corporate financial health check can deliver substantial benefits to your company, and our corporate market specialists are fully trained and experienced in handling such check-ups. We have teams around the UK able to service corporate clients of all sizes. Please call to discuss our approach to Employee Benefits on 0345 013 6525 (Greater London and South East). Employees increasingly recognise that they cannot depend on the Government for their retirement income. Furthermore, a good pension plan can make all the difference when it comes to both funding and keeping the best people, particularly at the higher executive levels. We advise on the most appropriate group personal pension schemes including Auto-Enrolment group pensions and executive pension planning. Life cover, Permanent Health Insurance, Private Health Insurance, Critical Illness Cover and other employee benefits are widely seen as valuable incentives on top of salary, bonuses and other financial inducements. I can recommend plans which suit your company’s size and payroll. Today, these can be structured in a flexible way so as to give employees more control over their level of benefits according to their personal circumstances. Increasingly, employees can take control of their package, reducing or adding to benefits according to their personal preference. In many private companies, the directors hold all the shares. What happens if one of them dies? His or her shares might end up in the hands of someone with no business skills – or even no interest in the company. Share protection and a suitable contract can take the sting out of this situation by providing the structure for buying-selling the shares and the necessary capital injection to achieve it. Is your company paying too much rent for its business premises? If so, the answer may well be to own those premises outright, with a commercial mortgage. DFM has access to specialist corporate advisers who can show you the most attractive ways to pursue this goal, including (where relevant) the use of an executive pension plan or small corporate pension plan to achieve this end. Investing in e.g. offshore bonds and other instruments could improve your company’s cash flow whilst reducing your tax liability. A discussion with your DFM adviser will establish whether this route makes sense for your company. 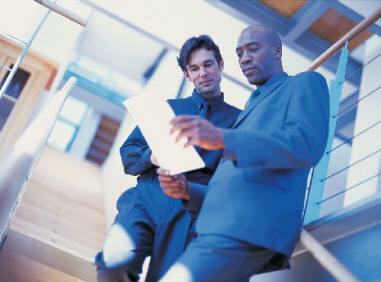 The first step is to undertake a full corporate financial review of your business’s circumstances and objectives. Our approach at this time is to listen, not talk, to gain a comprehensive understanding of what you want to achieve through financial planning. Step two is to analyse your needs in depth. This will ensure that we take account of all aspects of your company’s situation, including where it is today and where you want it to be tomorrow. Step three, we summarise our findings in a detailed report. This sets out practical solutions to your needs. If you wish, we can then arrange a meeting to take you through the report and ensure that we have accurately interpreted your business needs and objectives. We will assist you with the paperwork if you decide to act on our recommendations. Finally, as step four we aim to build a long-term relationship with you rather than providing you with a quick fix or a one-off service. As a result, we will agree with you a level of ongoing service consistent with your needs.